Greets Moss is another big Yorkshire Dales climb. Unusually, the climb is a very steady gradient. For the first 1.5 miles, the road goes up at a fairly constant 10%. It almost has the feeling of an immaculately engineered Alpine climb. The last mile eases off, and is a more gentle rise to the summit of the moor. In 2014, The Tour de France climbed out of Reeth, but used the climb just to the East. When you climb out of the village of Grinton, look for a right turn and head over this climb of Greets Moss. 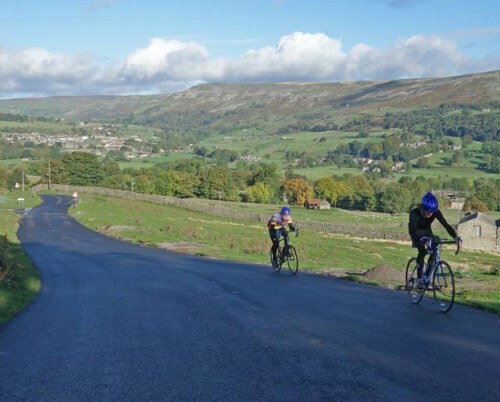 This version is slightly higher than the alternative climb of Grinton Moor – but both are good climbs. This is photo of Grinton Moor, not Greets Moss.